Did You See Last Night! The bickering and finger pointing last night left me shaking my head. Only people who made sense were Senator Marco Rubio and Governor John Kasich. Ted Cruz did make A good point. 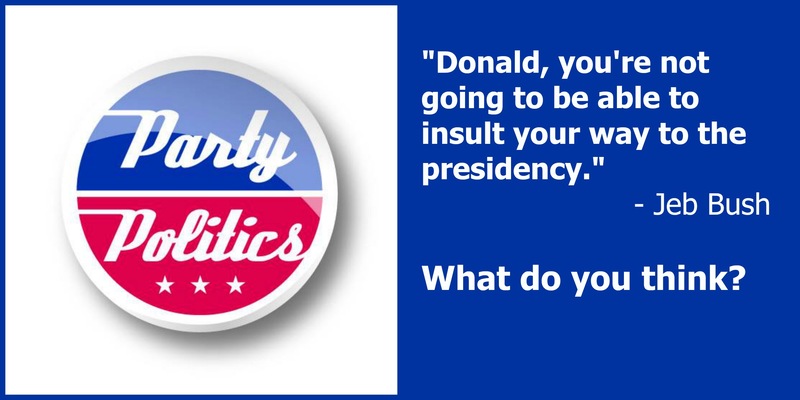 Who would you choose, if the GOP candidates were all you had to choose for President?